I am sure all these people are gonna sooner or later talk amongst themselves! ha ha … may be I should try this – You are not allowed more than 2 bathroom breaks a day and then the look on their face may be precious! 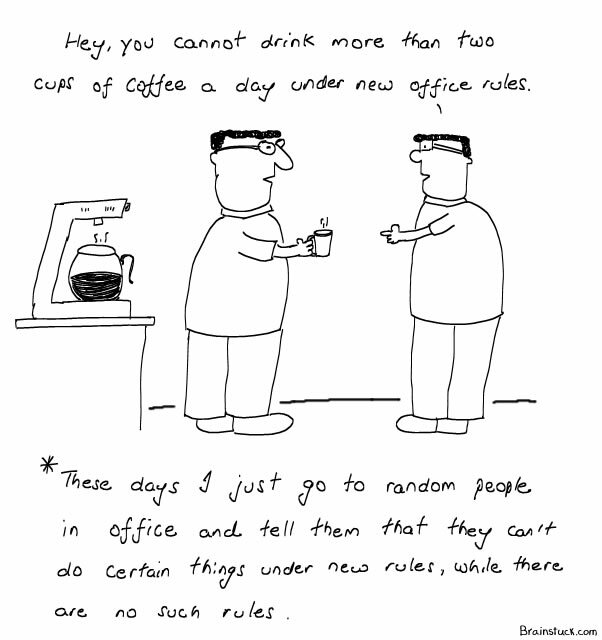 Excellent!Sometimes you feel as if you’re breathing on innumerable rules that make no sense at all!